Convert VOB to MOV and other 1000+ video/audio formats on Windows/Mac. Edit VOB videos with Crop, Trim, Rotate, Watermarks, Effects, etc. Compress video size without losing any quality easily and quickly. 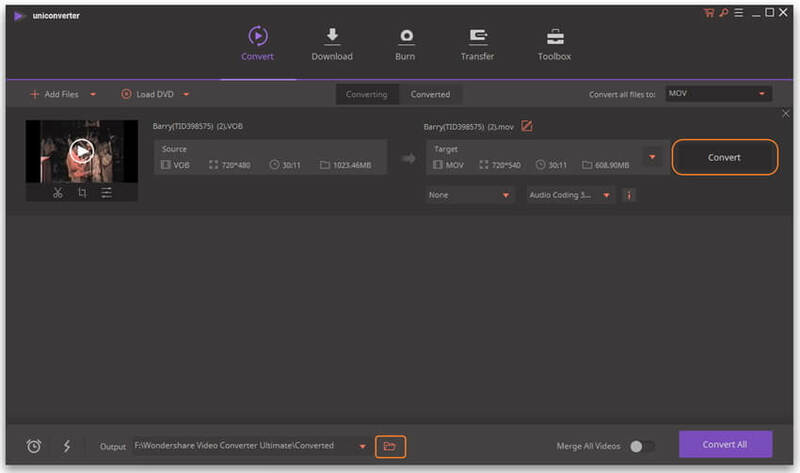 Versatile toolbox combines Screen Recorder, GIF Maker, Fix Media Metadata, etc. There are probably a collection of DVD movies on your shelf. It's quite easy to enjoy these movies at home. While having some device like iPhone, iPad or iPod, you might wanna watch those DVD movies on the move for killing time. Or you want to edit them in video editing tools like iMovie, FCP. So how? This article then would give you a quick solution to convert VOB to MOV or other Apple product compatible format. 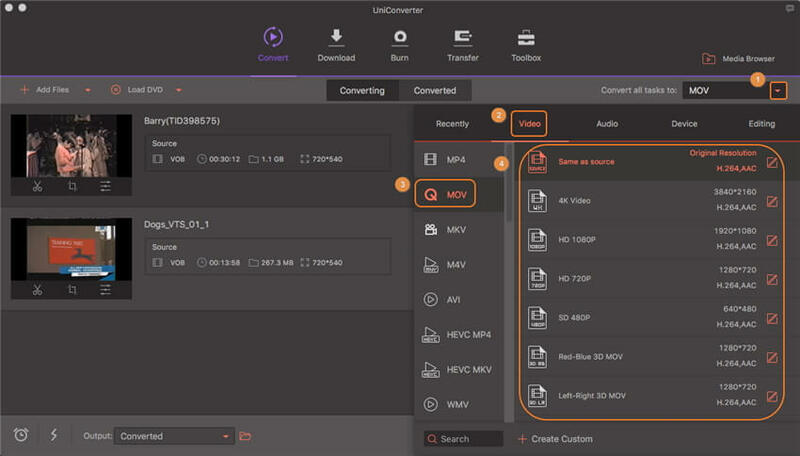 To convert VOB to MOV(QuickTime) without quality loss, Wondershare UniConverter (originally Wondershare Video Converter Ultimate) would take the convenience of VOB to MOV conversion as a quick and simple-accessible task. 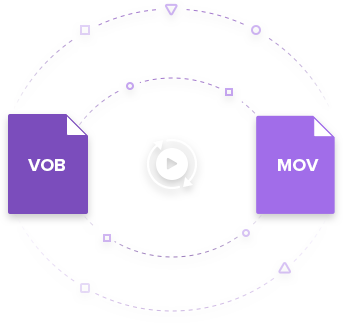 With this user-friendly software, you can effortlessly convert VOB to MOV or convert MOV to VOB within three simple steps no matter in Mac or in Windows. Now get ready with Wondershare VOB to MOV Converter installed on your PC, and then follow the detailed tutorial respectively. Convert VOB to MOV, MP4, AVI, WMV, and other 1000 formats. Compress video size easily without losing any quality. Transfer converted files to iPhone/iPad/Android devices via a USB cable. 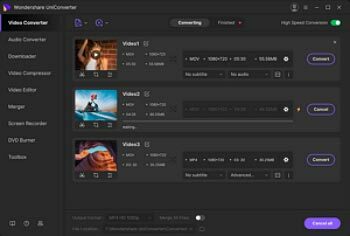 Versatile toolbox combines video metadata editor, GIF maker, cast video to TV, video compressor and screen recorder. Step 1 Add VOB files to Wondershare VOB to MOV (QuickTime) converter. 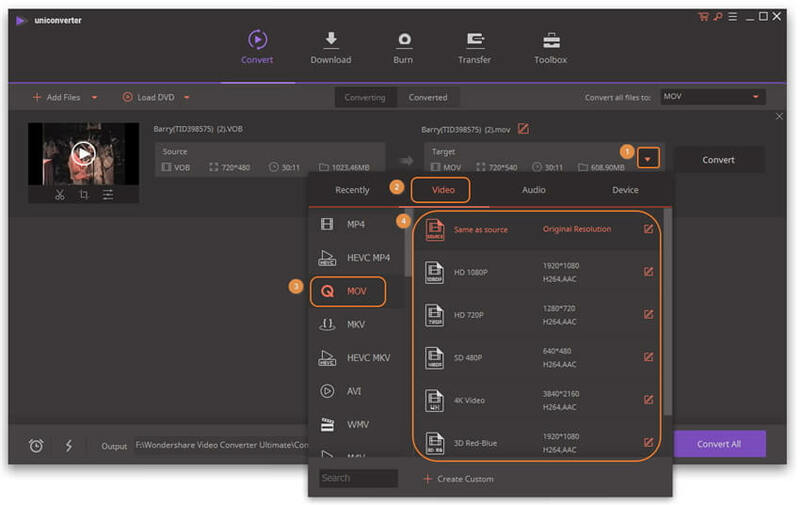 To add VOB files, you can either drag videos from your file folder to the program's primary interface, or click the Add Files button to load your target VOB video files from your local computer. Step 2 Set output format as MOV. Click the icon beside Convert all tasks to: to expand the output format list, click the Video tab and choose MOV from the left sidebar, then select the video resolution in the right to confirm the output format. Tip: If you want to play the converted .MOV files on iPhone, iPad, iPod, etc., you can go to Device tab to choose a corresponding model. 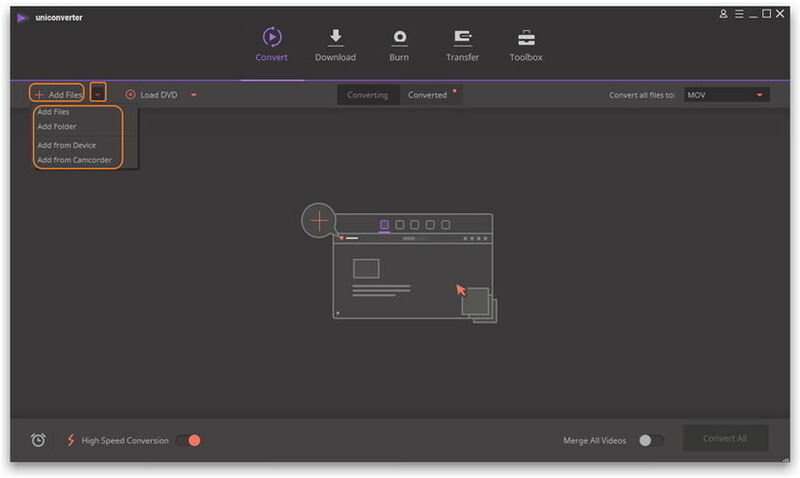 In addition, Wondershare VOB to MOV converter also supports editing video like trimming, cropping, applying effects. You can refer to Edit Video for more details. Step 3 Start converting VOB to MOV QuickTime (Mojave included). Click Convert All to start converting your video from VOB to MOV (QuickTime) on your computer. When the conversion completes, just switch to the Converted tab to locate the converted MOV video files. Actually, there're only tiny differences for converting VOB to MOV on Windows. You can watch the video tutorial to learn how it converts VOB to MOV first, and then follow the step-by-step guide afterward. Step 1 Launch the Windows VOB to MOV converter and click to add VOB video that you want to convert to MOV format. Step 2 Go to the Target section and click to get the full list of output format, click Video > MOV and select a resolution in the right to proceed. Step 3 Click Convert to start converting your video from VOB to MOV (QuickTime) on your computer. When the conversion completes, just click the folder-like icon in the bottom to fetch the converted .mov files. That's it! Quite easy, isn't it? 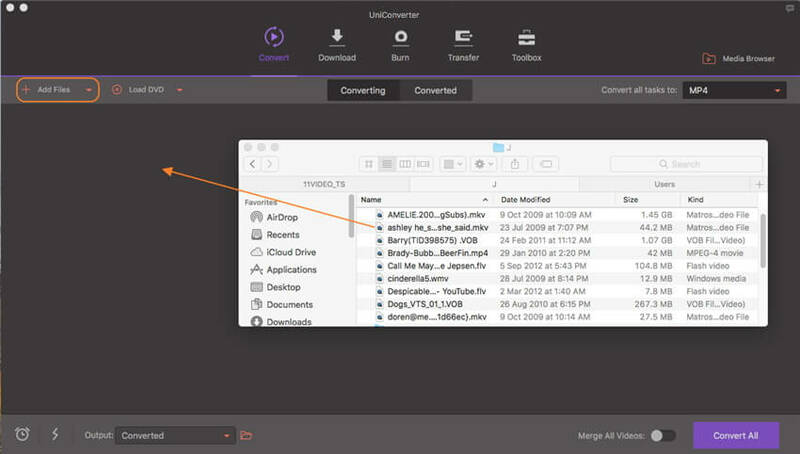 Come to download Wondershare UniConverter (originally Wondershare Video Converter Ultimate) and give it a shot right away!